Newly redecorated!!! Forget compromising to fit your furniture, have your pet and 2nd car! Here you can have the best of both worlds! Absolutely gorgeous, super sunny and impeccable home in the heart of East Lincoln Park! Boutique elevator building w/2 parking spots included!!! Over-sized, extra-wide 1600+ sq ft, 2Bd/2Ba which actually accommodates a formal dining table and true living room furniture featuring a gas fireplace! Impeccable building. Gorgeous and pristine home w/hardwood floors throughout! Expansive, open kitchen w/ granite counters, SS appls, 42" cabinets & breakfast bar! Oversized King-size master suite w/walk-in closet,marble en-suite master bath with double vanity, sep shower and whirlpool tub. Spacious guest bedrooms w/loads of storage. In unit washer/dryer. Large private deck PLUS shared rooftop deck. Includes 1 indoor AND 1 outdoor parking spots. Only 2 units per floor. 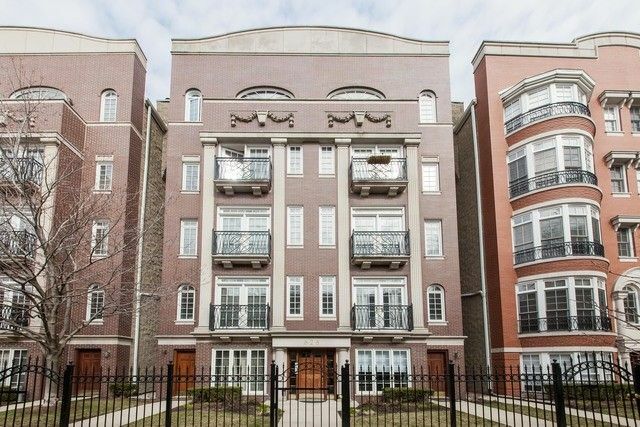 Walk to the lake and steps to the very best of Lincoln Park! Pets ok!